When this monthly theme was introduced, I had no problem finding something to write about. I am the person advertisers advertise to: a stable income with control of that income, somewhat materialistic (although I really try not to be—I just like nice things!) and persuadable. However, I was really unaware how much K-dramas have influenced my spending habits until I pondered on it. I’m only going to discuss three times that one drama influenced our family’s buying choices, but believe me, there’s probably at least twice as many things that we bought because of this one drama (including plush toys, OSTs and the actual drama on DVD), and then several more due to other dramas. 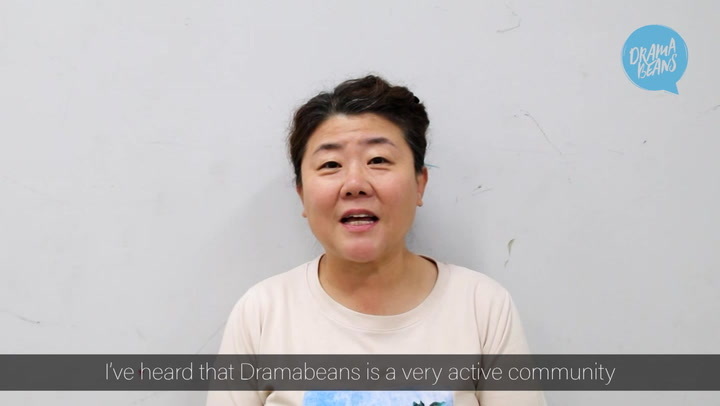 For those who have been regulars on Dramabeans since February 2017, it will not be hard to guess which drama influenced such binge spending! Everyday Flowers: My husband often buys me flowers and has them delivered to my office. Sometimes it’s because he’s in trouble and is apologizing, others because it’s a special occasion, and then other times because he is just thinking of me. (Aw, gag.) I love flowers. I love getting flowers. It reminds me that I’m loved, at least temporarily. I dry out the ones that have special meaning, like my engagement bouquet. However, the ones that meant the most to me recently were buckwheat flowers that he had his florist spend weeks finding to incorporate in a flower arrangement. Baby’s breath would have been too easy, and not as meaningful. The seaside scene where these flowers made a prominent statement was one of the most beautifully shot scenes of any drama and every time I see those flowers, I relive how I felt when I watched it. And on the card was just one word: LOVERS. A Milestone Birthday Watch: This drama probably had the best male fashion of any I had seen prior and probably since. For my husband’s 40th birthday last year, I was looking for the perfect gift. And since his birthday fell shortly after this drama and after he gave me those flowers, I had to find the perfect gift. He had been talking about getting a Tag Heuer watch for well over a decade, and I had the perfect excuse to give him one. But not just any Tag would do. No, a 40th birthday deserved a 40th anniversary edition watch. And it just happened to have been featured in the drama. And the card? I wasn’t original here either: “I love all the roads we have walked together, I love all the scenes we have seen together, I love all the questions we have formed and the answers we have found together; I loved you in all those moments. Signed, Your Bride.” This writer certainly has a way with words. The meaning of the watch and card was not lost on my husband who is probably the only male I know who appreciated the romantic gesture. A Once-in-a-Lifetime Vacation: Who wouldn’t love to go to a beautiful city during a romantic autumn season? We knew this place had amazing food and this drama solidified how gorgeous and quaint the city was in its lovely cinematography. The autumn colors played off the wardrobes well, and you could just imagine the crisp, cool air while the actors strolled (or excitedly ran) through the old city. So, this quaint city, its famous hotel, its lovely haunts, its cute shops, and its delectable restaurants called to us and we answered willingly last September as we took three days to be pampered at that famous hotel, have the best food, drink the best wines, and relive our favorite parts of this drama while strolling through the same areas as our OTP, and it took us less than a lifetime to do it in. Wasn’t it obvious? This drama captured our imagination in so many ways, and we fell in love with its fantasy and the real life people and places, so much so that we incorporated it into so many aspects of our own lives this past year. However, because real life is seldom a drama, one caveat to this essay: The watch had to be replaced due to a faulty second hand, and then once it was, my husband found it too uncomfortable to wear, so he returned it and purchased a Timex, saving me a few thousand dollars! I guess I now have more money to spend on more K-drama-related merchandise. I’m really an advertiser’s and product placement director’s dream. Lovely Write-up. You guys are couple goals <3 (all the best!) Living in the province Goblin was filmed in, I always find it funny how they romanticized Quebec. They made it to be a english speaking region (Quebec is famously french in Canada), and Quebecers tend to be cold to outsiders (my experience at least). And winters are the worse. But I cannot deny autumn here. The colours are amazing. The leaves are as if you're looking at fixed fire. That being said, I think your purchases are completely justified -- it's as if you're reliving precious memories with the loved one you shared them with. But Quebec is romantic! And yes, very French! We knew this before going. Our pictures prove how romantic it was. We are planning a trip back on the near future! This time, with the kids. We also went to Montreal and loved it there as well! If its not freezing, it's snowing like crazy. Not those beautiful drizzles you see in kdramas, but those where your up to your knees in slushy snow in a matter of hours. yikes, the slush! But I detest freezing rain the most. Snowing is only pretty it at the beginning, where it is still "fresh". @justme oooh! a fellow Canadian !!! yay! HIIII! I bet it is Montmorency Fall. While Goblin is airing (in winter), I went to see Quebec City to see its magnificence. Then I went back in the summer and fall to admire her beauty in different seasons since I live in Montreal....It is uniquely beautiful in different seasons!!! Yes! Montmorency Falls were beautiful!! It was a really nice walk down, but insane for those folks hiking up! I went in Sept. and the weather was perfect. Anyways...the amount of Korean and Chinese tourists that was pretending Montreal was Quebec City was astonishing. It was cute seeing so many couples with their red scarfs and long coats in mid-August. It was also amazing how perfectly they looked taking photos. The women with their makeup and the men with their hair styled nicely and walking with their coffees all of them not breaking a sweat wearing so many layers. Yet there I was staring at them inside a nice air-conditioned Tim Hortons all red-faced and nasty. Really? I live in Montreal and I haven't seen tourists in red scarfs...Are they wandering in Old Quebec since I think the architectures in that area kinda reminiscent of Europe..
oops i actually meant Old Montreal..
Yeah, I saw like 3 girls with red scarfs and even one guy with the grim reaper hat. They took them out of their backpacks since it was summer afterall. Not too familiar with Montreal, but they were posing at some wall near Notre Dame Basilica. I think maybe cause they weren't able to go to Quebec City so Montreal was close enough for them. We went there (Notre Dame Basilica) as well, as is was a short walk from our hotel in Montreal. There was another cathedral we went to next door to our hotel and walked straight into a wedding, just as the bride was walking down the isle! It was so beautiful, but very strange at the same time. I remembered being in Italy and all the churches were open an anyone could walk in so I shouldn't have been surprised, but I was that they wouldn't have closed the church for a wedding! I love that it means so much to both of you. This was my winter watch and it was one of those times when the show and my mood were in perfect sync. Each shot was so beautiful. I think Gong Yoo just wears clothes well, though they were beautiful ones. I really don’t think anyone wears clothes better, but I’m certainly not objective here! Colors and hues play off his skin tone so well. And the show is probably the most beautiful in terms of color, lighting and composition of any show I’ve seen—although PRETTY NOONA is giving it a run for its money right now. PRETTY NOONA white t-shirts are on my shopping list...boyfriend and girlfriend version!. This is such a lovely, sweet write-up! Thank you for your story, @ally-le! You and your husband are so thoughtful and wonderful! We try, but it’s not all romantic all the time! But yes, it’s worth the effort because sometimes you get this, and it’s these memories that get us through sometimes. 😂 hee, I get that. My parents are pretty darn sweet themselves, but it’s not all perfect and dandy all the time. Thank you for the lovely edit, DB! You guys are amazing! I’m still so in love with this show, although I’m trying hard to find another that may take its place one day! The first picture is mine, or actually, a friend that went with us who allowed me to use it for this! Thank you for this site to allow me to share this and also for being here so that I could discuss and read about others’ thoughts and ideas, not just for this drama, but many others. I probably would not love dramas as much if it was not for this site! I love this show so much too @Ally @ally-le inspite of the ending (actually I felt the ending was fitting). It was beautifully and lovingly made and deserves accolades, not only in how it successfully gets viewers to buy stuff (I want to go to Quebec too!!!) but in all it's production. I’m glad I don’t have to go very far to find people who appreciate this show; it wasn’t the highest tVN rated drama for no reason! There were so many people there who were there just because of the production, you couldn’t miss them. And I was fairly obvious with my red scarf as well! Good luck with the hubby! I’m sure you’ll figure out a way! Ditto! It's 2 blocks from me and I refuse to go there. No matter how much they try, I WILL NOT GIVE IN! I don't eat Subway sandwiches (yeast intolerance) but I go there all the time, seeking to be with the in-crowd, since I have learned from watching K-Dramas that ALL professionals eat at Subway, repeatedly. I DO try to make it a point to go into Seoul, each yr we head back to Asia. Aug 2017- saw us again (Grandma, me and my daughter in tow) heading off Seoul - where a 7 day stay turned into 10 days because our flight back to Singapore was delayed due to HK typhoon. Seoul just has a very special attraction for me esp (and us) - I am there almost every yr. Won't be going in 2018 and already feeling the pangs of regret - it will be Japan and Singapore this year. This comment contains what @ally-le expected it to contain. Implied! PS - The flower story is actually super cute and I'm never going to roll my eyes at travel. @ally-le I'm sure your drama induced shopping can be excused because all your reasons are so romantic and memory-worthy. *Swoon* The flowers especially! What a lovely post @ally-le! ^^ I've broadly kept up with your posts about your Goblin exploits on db, but this is even better than anything I'd imagined it to be. Your post made me super happy! Yay for drama induced vacations!!! Quebec was soooooo amazing and just as beautiful as depicted on the show. The hotel, the European flare, the food were all wonderful. But I still don't like poutine! They are pretty awful. But my region has dill pickle potato chips which I also find . . . interesting. We had to go get poutine for my friend who went with us. I thought we were going to a fancy French restaurant and we ended up at a fast food joint. Imagine my surprise! And I could live without it! LOL, ditto! Though I am first Singaporean, then Canadian and find NAmerican food really bland. I am French first and then Canadian. I love Canada but food-wise, it's definitely a step down. Thank you @umbrellaman for your pics and advice before I went! No problem!! I am glad I was able to share something with you and glad that you and your husband had a magical vacation!! I must say that I was a little green with envy at how romantic you and your husband are, @ally-le ! #coupleGoals indeed!! I love this write up! You two really are couple goals! I'm going to have to steal your note that you had with the watch sometime in the future. Mr.Spicykimchi also appreciates romantic gestures like those, though he won't watch dramas with me. This is a lovely write up. Your husband tracking down buckwheat flowers is such a sweet and meaningful gesture. You had me at flowers. Everything about you article is so so romantic. It's the best drama induced spending so far. This is really beautiful @ally-le. I teared up reading it. Hahaha as soon as I saw the picture of Montreal, I knew it was you, @Ally! Now I will go read. That’s ok, I’m a little obsessed, aren’t I? Aww my heart! Reading this felt just as romantic as a kdrama moment <3 Everything is sooo sweet, glad you included the caveat though! Agreed that I'm one of those that is easily swayed by the PPL and advertisements. Heck, they convinced me to set my dream vacation to Korea and since I am single and love traveling, I went to Korea for vacation last year. Love it. The subway pic had me chuckling. That was a DB edit! I chuckled too! I love this <3 I actually also wrote about flowers! My BFF and I were talking about this drama The Package the other day, and how it made me want to visit France (where it takes place) and she mentioned that she was sure Goblin had had that same effect with Canada (when we were watching the drama, we were both drooling over the fantastic scenery, and wondered if we would be able to find that magic door heh). Lol! I’m not hard to find. Mention Goblin, Quebec or Gong Yoo and I’m there! It’s been a while since I’ve seen you regularly! I know, that drama took over my life for a long time! I'm going to Canada this summer with my sister. We are going to Montreal and Quebec but other places too. I made her watch Goblin (she doesn't watch dramas) and for the fun we will have one night in the Château Frontenac hotel ! What a lovely writing, thank you! This is another post which makes me wanna finish Goblin.. hmm I'm in contemplation whether I should try watching it again or.. I always find it hard to finish a drama that I’ve left on the shelf too! But I’m encouraging you to finish this one, the cinematography and music alone is so good, regardless of the story or acting. It's always a pleasure to read your posts, Ally. When you posted a link to it on the OT last fall, I read the write-up of your trip on your blog, and I got a lot of vicarious pleasure from reading about your fangirl's-dream-come-true vacation. The watch story was cute, too. It sounds like you and your hubby make one heck of an OTP. :) Thanks for sharing. Oh, thanks! That's sweet of you to say! I enjoy writing about our little exploits. One day, I'll write a book about us, and I hope you'll see it! My trip to Quebec and Montreal last May was entirely influenced by Goblin. A good friend came with and she is not a K-drama watcher. We made it a mission to visit as many sights that scenes were taped as possible. Hesitant at first, but she got into it and made walking around Quebec more fun. We even sent letters from the famous post office box in the hotel. Took a one day/night trip to Montreal and it was totally worth it. The hiking options in both cities were great. I’m glad you had someone to share that with! A fan girl’s dream come true! Oh how sweet! Your hubby sounds great! So is my big sister. She got me into kdrama. I sent the letter to her, thanking her for always looking out for me. My friend always wanted to be a forensic scientist. She had a blast trying to find the exact spots and taking pictures matching the scenes. I want to go to SK with both of them. I think it would be fun to do the same there. Yall are just so completely Sweet! I read cheesy romance novels and console myself with the fact that men like that don't exist in real life. And then I come to db and it's like....YEAH THEY DO because y'all are completely adorable! This is the second time you've almost made me want to watch Goblin. So. Sweet. Good to see you here @isthatacorner! They do exist, at least part of the time! It takes a lot of love and patience to find one and then even more to keep one! Lol! But worth it, every single day! Here’s to you watching Goblin. Just watch it fit Gong Yoo, will you? He’s better than anything!